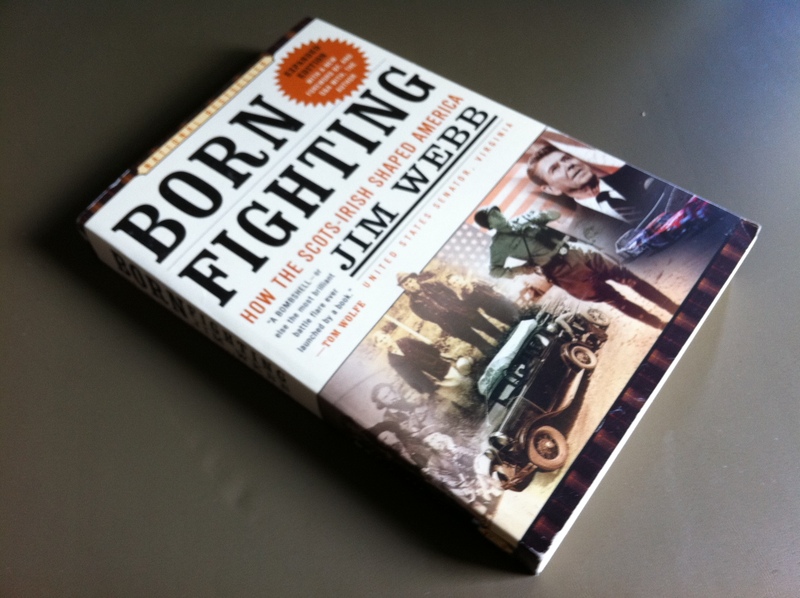 Born Fighting: How the Scots-Irish Shaped America is Senator Jim Webb’s historical account of how the Scots-Irish ethnic group has strongly influenced the American character. It provides a comprehensive history starting as far back as the Celtic migration from Central Europe to the Islands of Briton and Ireland, and ends in modern America. Senator Webb possesses a unique talent for story-telling. He also has a gift for linking the broad currents of history to the tiny eddies of individual lives. As such, his book is a pleasure to read as it both enlightens and entertains. I rate the book’s rich and entertaining style a 10.0 out of ten. The author masterfully organizes the book as a chronology of the Celts’ multi-millennial journey from Central Europe to the highlands of Scotland; from Scotland to the troubles of Northern Ireland; and finally from Ulster to the United States. Senator Webb also interweaves his personal family history into the larger patchwork of the Scots-Irish history. The book is easy to follow and Webb has a knack for focusing on the defining moments of Scots-Irish cultural history. 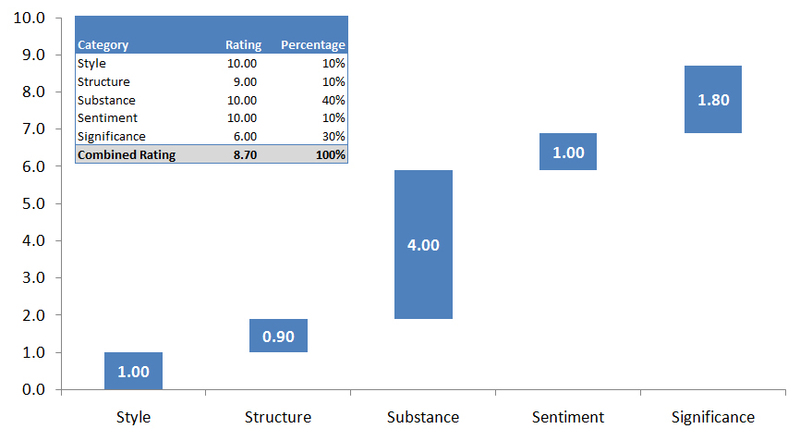 Overall, the book receives a rating of 9.0 out of ten for structure. Born Fighting is a rich account of the travails and travels of the Scots-Irish ethnic group from its roots in the fierce Celtic tribes that kept the Roman Empire at bay for centuries to its role in shaping modern American values. Webb covers the experiences and conditions that shaped the fiercely independent nature of the Scots-Irish people and includes the Scottish wars against the English, the troubles in Northern Islands, and the bitter disappointment of the Confederacy’s loss in the American Civil War. In doing so, Webb provides an excellent account of the contrast between the English and Scots-Irish in America and links it to the current political differences between middle America and the Northeastern cultural elite. It is clear that Senator Webb spent years researching the book and understanding the culture. As such, I rate the book’s substance, a 10.0 out of ten. As a member of this ethnic group, Senator Webb’s descriptions of the Scots-Irish distrust of authority, their quick tempers, and their fiercely independent nature really resonated with me. It also provided an intriguing theory about why a disproportionate percentage of soldiers in combat arms units tend to be white southerners. In fact, after reading the book, it surprised me that Senator Webb was a Democrat. I rate the book’s sentiment a 10.00 out of ten. Senator Webb’s book is an excellent read. That said, I do not think it will do anything to change the course of history. Therefore, it only rates 6.00 out of ten in this category. The book’s overall rating is 8.70 out of ten, after assigning the appropriate weights to each item. If you possess any Scots-Irish heritage — more than 27 million Americans do — this book is a must-read. If you enjoy reading both wide-sweeping historical accounts as well as personal family histories, this book will also interest you. This entry was posted in Book Reviews, Defense, Media, Policy, Politics, War and tagged Book review, Conservatives, Democrats, Republicans. Bookmark the permalink. great description of a great book. Anyone who is scots-irish will identify with Web and his book. Too bad he defected to the dark side. Based on the book, my guess is that Webb became a Democrat out of political opportunism rather than ideology. Since reading it, I keep noticing the geographic commonalies between the Scots-Irish settlement pattern in the US, and certain demographic charactersistics. Speaks ot the power of geography. By geography, I’m assuming you mean mountains. I would agree and it explains a lot in terms of behavior, etc. Malcolm Gladwell has an interesting theory in Outliers (I believe) on why white southerners tend to exhibit higher aggression patterns than average, even after controlling for intelligence. The Scots-Irish honor culture is the explanation. Absolutely. These folks, for the most part, are literally Red State America. Nice graph, (expletive deleted). Also, you should check out Albion’s Seed. It gives more in-depth analysis of folkways from the UK to the USA and how they are still relevant today.